A fantastic condition triple slide Fleetwood Pace Arrow 35A! Please note that the above information is for guidance only and does not constitute any form of sales contract. Descriptions, dimensions, statement of condition and any other details are provided in good faith and believed to be correct. Intending purchases show NOT use this information as a statement of fact, but satisfy themselves by inspection or otherwise as to the correctness of each item. 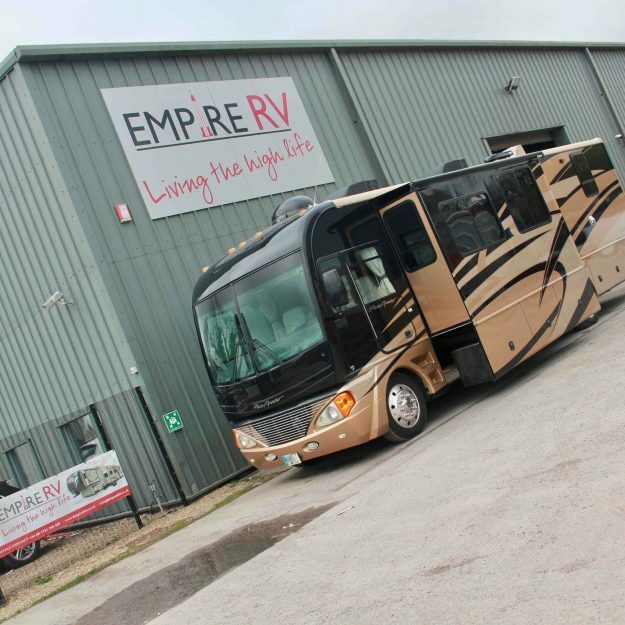 Empire RV are happy to assist with this process. Allowing cookies (settings) will give you the best experience on our website! These cookies are essential to enable you to use the website effectively. Without these cookies, the services available to you on our website cannot be provided. This website uses Google Analytics to collect anonymous information such as the number of visitors to the site, and the most popular pages so we can measure and improve the performance of our website. We use Facebook pixel to tailor our advertising and show you the most relevant products or events.